Our family is ready for another baseball season, Bowie Baysox is our local minor league team in Maryland. 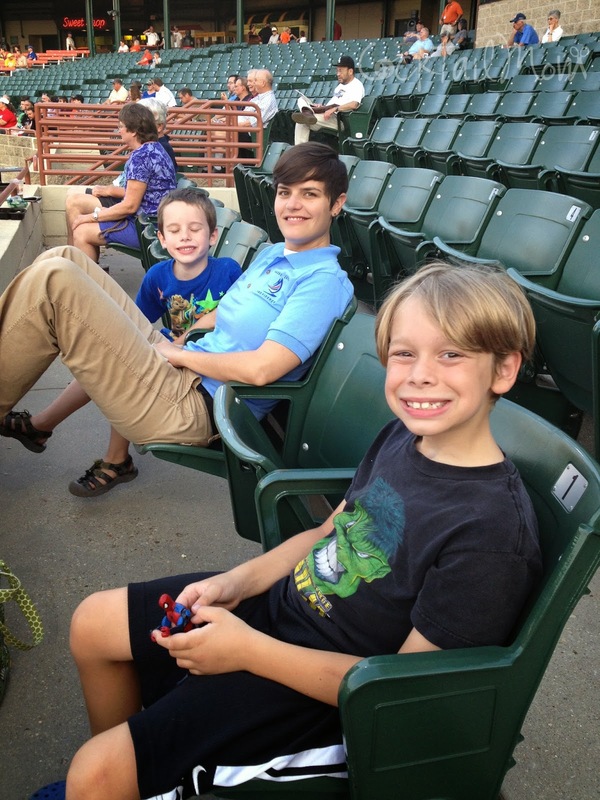 Minor league games are perfect for families and for kids on the Autism Spectrum. As you can see from this picture the crowds are less, which means being able to ask to change seats to a quieter section if your child has sensory processing issues. For Maryland families- check out the Bowie Baysox's Kids Club. Every Sunday during a home game kid's club members eat FREE!